This Mother's Day, treat mom to one of the great brunches around Kansas City, Missouri. Honor her and all the great things she does by telling her to hang up her apron and hang out with you. Whether it's eating at a world-renowned restaurant, dining al fresco, or going the casual route, you'll find it in our list of top places for Mother's Day brunch in Kansas City. Bluestem, which is owned and operated by chefs Colby and Megan Garrelts will host a special tea service at their restaurant Bluestem on the Saturday before Mother's Day. A James Beard "Oustanding Restaurant" semifinalist four years in a row (2015 to 2018), Bluestem offers seatings at both 11 a.m. and 1 p.m. on Saturday, when you and your mother can sit and relax while sipping fine teas and sampling delightful pastries and an assortment of small sandwiches. Reservations are required to attend and are usually all booked by the week of Mother's Day. Be sure to reserve your spot today if you want to share this special tea service with your mother this year. Located in downtown Kansas City's Power and Light District, Bristol's extensive spread, top-notch service, and swanky setting are sure to win the heart of any mom. The cold bar selection with everything from smoked salmon, scallop ceviche, and shucked oysters to cheeses and shrimp cocktail makes Bristol a top spot for brunch, whether you are seated indoors or on their outdoor patio. Bristol features a Bloody Mary bar, traditional breakfast items, and hot items such as lobster mac and cheese, shrimp enchiladas, and a carving station. If you can't make it for brunch, check out its three-course, prix fixe Mother's Day seafood dinner, which will be served starting at 5 p.m. on Mother's Day this year. You can't go wrong by heading to famed New York City Chef Lidia Bastianich's fabulous restaurant for Mother's Day. The prix fixe, three-course meal includes antipasti, a main course (try her famous pasta tasting trio), and dessert. Located inside the historic Kansas City Crossroads Freight House, Lidia's features Northern Italian cuisine in an open yet intimate setting. Gluten-free selections are also available, and the special menu will be served from 11 a.m. to 8 p.m. on Mother's Day. Reservations are required to attend, but you should be able to book your table up to the week before the holiday with ease. The Grand Street Cafe is a solid spot to take your mom this Mother's Day for eggs every which way, a pastrami skillet, or heavier items such as pork chops, chicken, and steak. Known as a KC favorite for over 20 years, Grand Street Cafe is a family-owned establishment serving up New American cuisine made with locally-sourced, fresh ingredients at a reasonable price. An exciting cocktail such as a Bellini martini or a bacon Bloody Mary might just be something mom might like to try as well. If not, the selection of specialty coffees also makes an excellent pairing to any meal. Grand Street Cafe has two area locations: Grand Avenue in Kansas City and Renner Boulevard in Lenexa, Kansas. Both require reservations for the Mother's Day brunch. Treat mom to a casual family-style brunch at The Brasserie Restaurant at The Westin Kansas City at Crown Center. The Brasserie is an American-inspired restaurant that offers a buffet with more than 100 items plus a dessert bar, and on Mother's Day, the dining room will be decorated with bright floral displays for the occasion. You can also order from an extensive menu of locally-crafted beers and spirits from the One East Bar + Kitchen, which pairs well with the modern American cuisine offered by the Brasserie. For brunch on Mother's Day, MetropolitanKC, the signature restaurant of the Marriott Downtown, serves up a grand contemporary American feast with an assortment of options such as prime rib, blue crab eggs Benedict, and oysters Rockefeller. For dessert, choose from crème brûlée, marble tulip cup and framboise mousse, flourless chocolate Decadence, lemon raspberry pave, mocha cake squares, or Kansas City-style cheesecake with fresh berries. The Classic Cup Café, located in the heart of Country Club Plaza, is one of the best outdoor brunch spots in Kansas City. With a huge outdoor patio and sidewalk seating, the Classic Cup will make you feel as if you're dining al fresco in Europe. Its wonderful Sunday brunch favorites such as the buttermilk griddle cakes and Dutch babies might just make your mom jump for joy if you take her here on Mother's Day. Located on the cliffs of Briarcliff Village, Trezo Mare has a nice selection for brunch with a sweeping view of the downtown skyline. Trezo Mare prides itself on buying fresh and local—much of what you eat here is farm-to-restaurant. On the buffet menu for Mother's Day this year, you can choose prime rib or roasted turkey breast from the carving station or have a made-to-order omelet. There's also a seafood bar, continental bar, dessert bar, and kids buffet. Located inside downtown's Union Station, Harvey's is a classic American brunch spot that's perfect for the casual eater this Mother's Day. You can sample a variety of classic breakfast and lunch dishes on the all-you-can-eat Sunday brunch buffet and enjoy your meal people-watching in the public dining hall. Harvey's is a great destination if you're visiting the exhibits at Union Station, and this family-owned establishment is known in the city for preparing some fantastic traditional dishes. Sunday brunch will be served from 8 a.m. to 3 p.m. on Mother's Day this year. 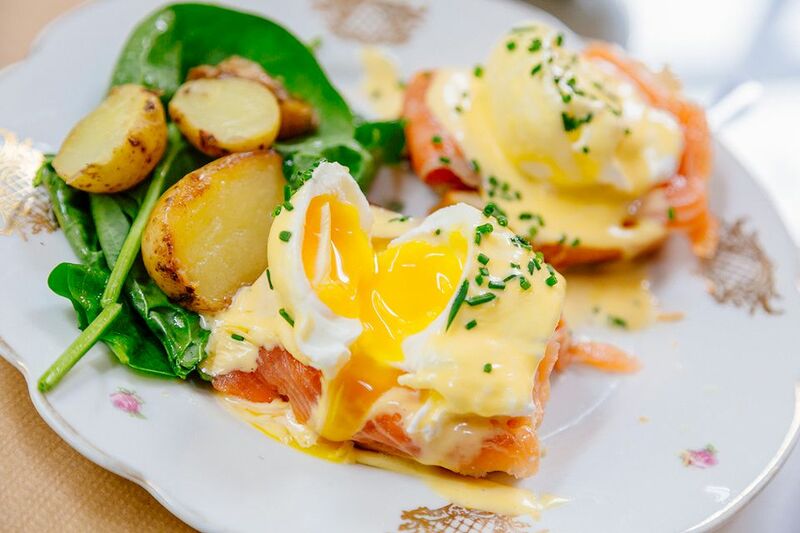 Located inside a Romanesque building that used to be a schoolhouse, the Webster House restaurant is an inventive and eclectic New American restaurant that offers a delightful brunch on Saturdays and Sundays throughout the year. On Mother's Day, you can reserve a table and treat your mom to a special meal in this unique dining and shopping destination. After your meal, be sure to check out the Kauffman Center for the Performing Arts, which might even have a show on for Mother's Day this year. Then, you can browse from dozens of luxury boutiques nearby as well.